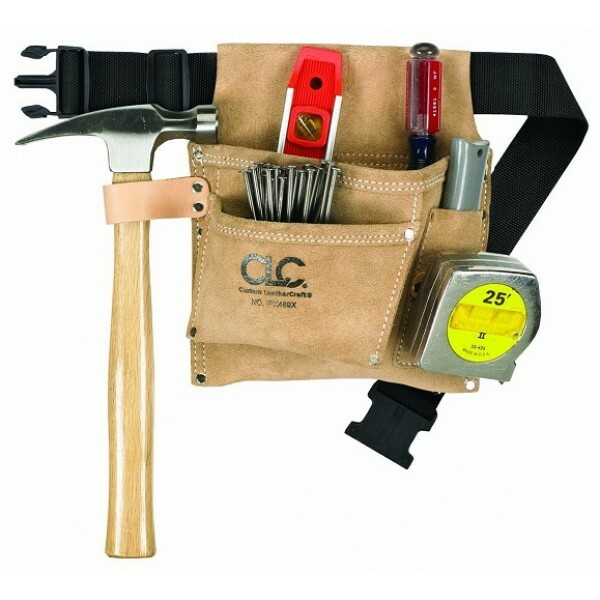 Keep all your repair supplies close to hand with this suede tool belt from Custom Leathercraft! Unlike many toolbelts, this can fit a waist as small as 29 inches, so even tweens and teens can wear it. Two large pockets and one small pocket, as well as a loop for a hammer, ensure you have plenty of space, and the polyweb belt has a quick release buckle for when the job is done. 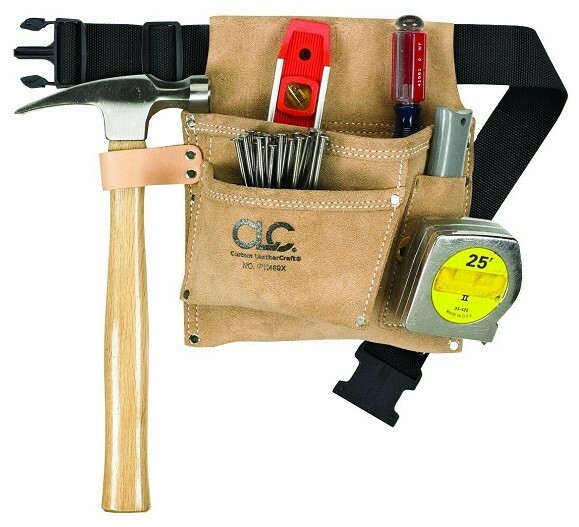 For a set of hand tools to get your budding do-it-yourselfer started, check out the Around the House Tool Set.